This is a feature on the making of GRAVITY. 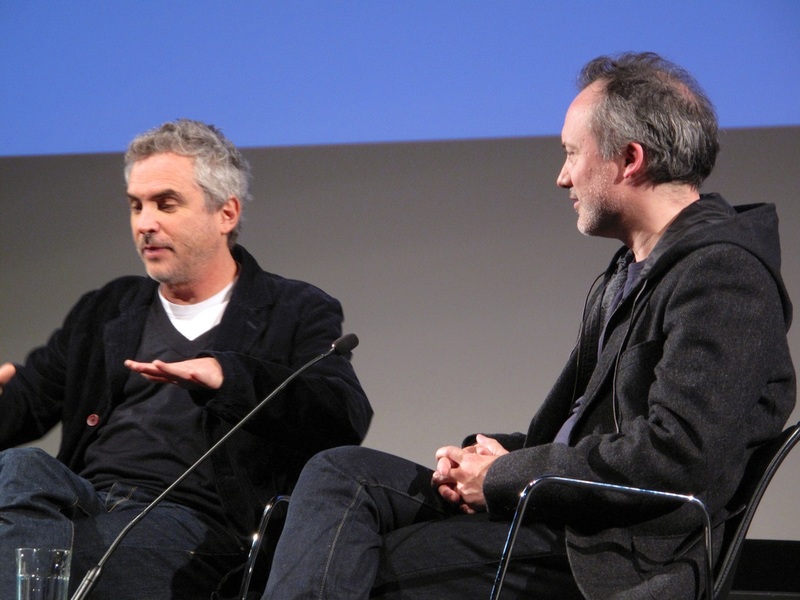 Director-writer-producer-editor Alfonso Cuarón and visual effects supervisor Tim Webber talked on the 11th October about the making of GRAVITY. - Cuarón asked if he was happy with the hugely positive reception GRAVITY has received; he answered: Is a fox happy after being chased by hounds for four and a half years? The fox is happy playing with another fox, or frolicking with his cubs in the field. - Cuarón and Webber worked together previously on CHILDREN OF MEN - specifically the digital baby. · There isn't full movement. · Long shots couldn't be done. · Only give you two axes of rotation. · Wires would get in the way of the camera. - Cuarón says that Christopher Nolan does zero-g in INCEPTION, but stylised and lots of cuts. - Opening scene was going to be a 19 minute take, but there is one cut. - To be factored in: No air resistance, no horizon, no weight. - Webber has a degree in physics. - The first person Alfonso sent the script to was cinematographer Emmanuel Lubezki. They did think about going to space to make it, but so expensive for just one person to get a ticket. - Cuarón realised CGI was necessary. - Directors David Fincher and James Cameron were thanked in the credits. · Fincher said great, but wait seven years for the technology to catch up. Actually took four and a half years. · Cameron was enthusiastic. Told Cuarón have to create the tools. Estimated cost $400 million. He did it for less. - Many different techniques used, e.g. filming faces and putting on CGI bodies. - Emmanuel Lubezki had a eureka moment at a Peter Gabriel concert: L.E.D. lights. Alfonso wanted photo real lights. Need bounce light from Earth - which depends on sun, plus oceans/Sahara desert. Needed to surround actor with lights so the camera can move. A box was created - 10ft X 10ft X 10 ft - which could be raised and change shape; inside 18 million L.E.D. lights. What you see in Sandra Bullock’s eye is not CGI Earth, it’s the L.E.D.s. Will change cinema – traditional lights only one colour. 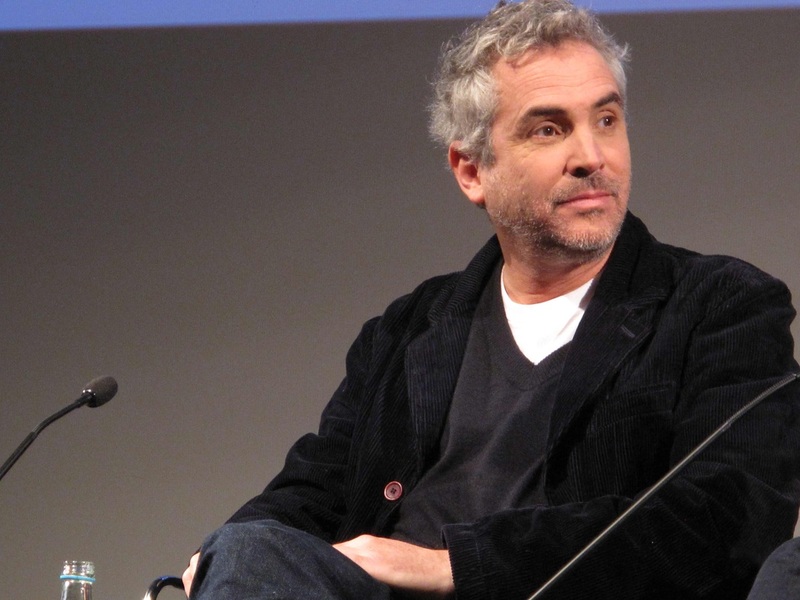 - Cuarón says he never saw a film where the actor, VFX supervisor and the director of photography were so close. - Light box only one technology, e.g. robot used with a camera, plus robots are the lighting sources, e.g. sun, moon. - James Cameron says no longer uses pre-vis as pre-vis; it’s a carbon copy to continually paint over. Lubezki would light the film in a computer. They had to animate the whole film. Took two and a half years to research and develop technologies before shooting started.